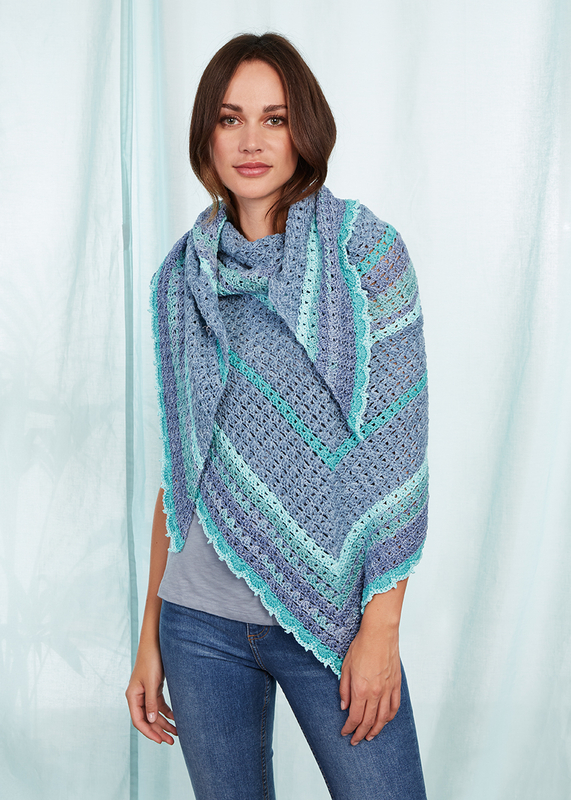 This large crocheted shawl crocheted in the summer yarns Catania Denim, Summer Ombré and Catania is so relaxing. Even the harmonious pattern worked with double and single crochet stitches is pure relaxation. You begin at the center of the long edge and with every row your shawl continues to grow and becomes more beautiful! At a width of appr. 83 in. and a length of 39 in., the shawl will be finished – ready to wrap yourself in it on warm summer evenings spent gazing at the stars.